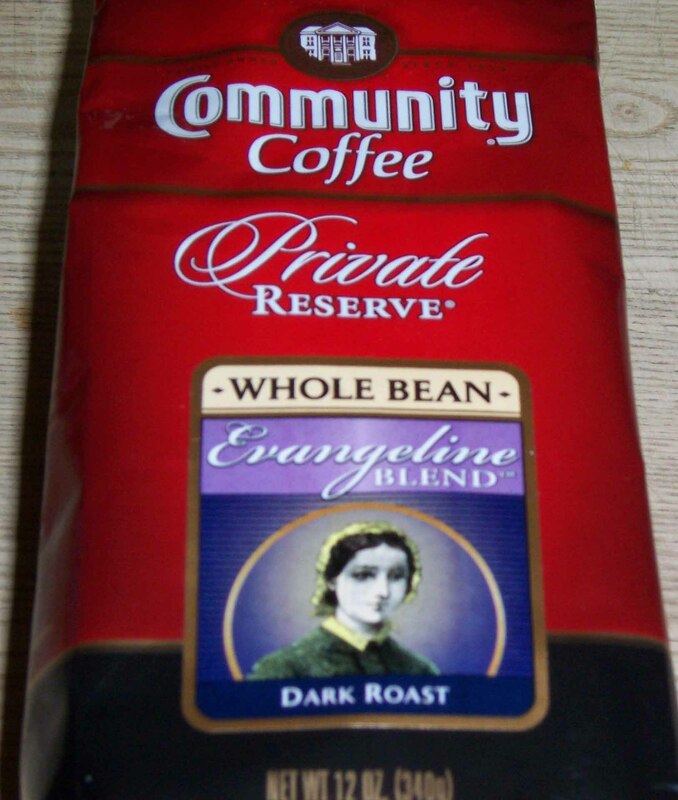 We received this Evangeline Blend with a travel mug from Community Coffee (www.communitycoffee.com)and we were looking forward to trying them out. Community Coffee is family owned and operated and has been doing business out of Baton Rouge, Louisiana for a little over ninety years. The Evangeline Blend is described as an exclusive gourmet coffee blend created to honor Louisiana’s most enduring legend. In the tradition of the poet Longfellow, this selection was crafted in honor of the bittersweet romance of Evangeline and Gabriel. We combine 100% Arabica coffee beans and dark roast them to produce a deep, semi-sweet flavor with no sharp edges. It is a dark roast, with medium-high acidity and a full body. We still like to brew whole bean coffee at least three different ways for our reviews and first up was the auto-drip. The aroma from the both the bag and pot was mild. But it is the flavor that will get you. This coffee has a smooth balanced roast taste. It has a bright acidity and full body. The next day we used the Chemex coffee maker and this brings out a little more of the tartness and brightness of the coffee. There is a fruitlike flavor too. Kim thought it went well with the orange marmalade on her toast. The aroma, though mild, is good. Kim and I both thought this brew had a pleasant aftertaste that seemed to stay on the tongue. Lastly was the French Press and the flavor was a little stronger here. Since the aroma is mild you may be slightly surprised at the taste of the coffee. There is a little bit of a chocolate undertone and it seems to be naturally sweet. It is not too bold, but has a good, lingering aftertaste. It is simply a good cup of coffee. 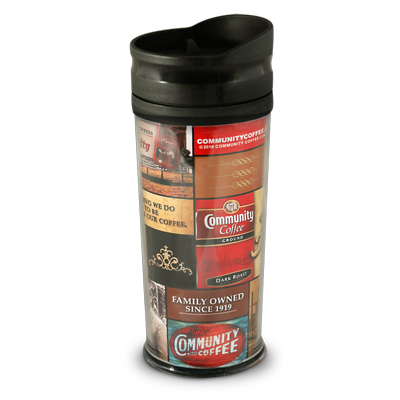 If you have never tried Community Coffee and like dark roast coffees we suggest you try this one. We give it two thumbs up. We shared this coffee with a few friends and they all liked it. We like sharing coffee with friends and getting their feedback along with introducing them to coffee roasters they have not tried. We also tried their travel mug and liked it. The rubber pad on the bottom is placed really well and helps keep the mug from sliding. The mug does a good job of keeping coffee hot too. It has gotten a lot of use. I haven’t taken it to a coffee shop yet to get filled up, but you never know! We received the coffee and mug for free and offer objective feedback. Until next time, remember to stop and enjoy the coffee and conversation. I tried this coffee last year, I think I’ll have to get some again. I’d send you some, but it’s all gone! The freinds we shared it with liked it and we like it. It is one of those coffees that is gone before you know it. Maybe one day we will be able to brew and drink some coffee together and talk.